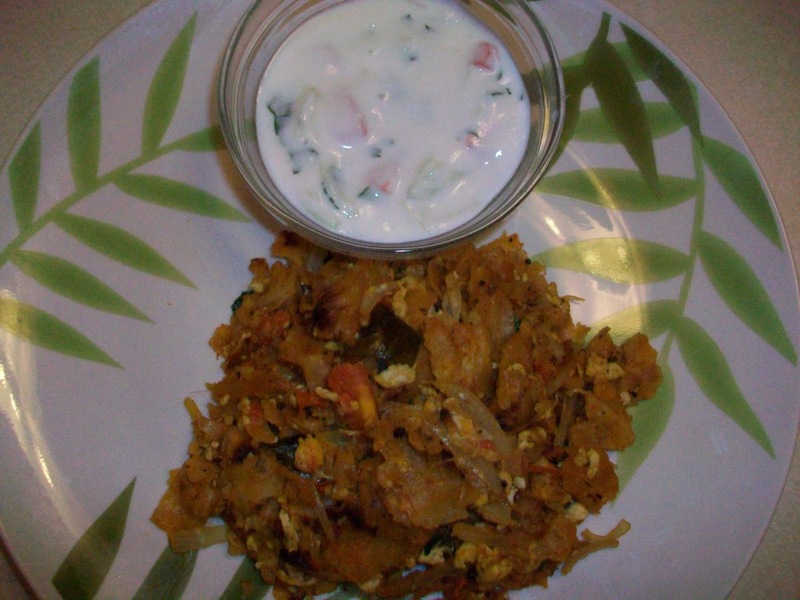 Kothu Parotta is a popular South Indian recipe particulary in Tamil Nadu. This is a nothing but a minced parotta/layered flat breads sauted with onions, tomato, spices, eggs and with Veg or Non Veg Curry/Chalna. This is one of my favorite recipe which i really miss here. But am happy that i recreated it at home and the taste was so good and almost same to that of hotel kothu parotta. This is so flavorful, delicious and filling recipe. Addition of Veg chalna or chicken curry gives more taste and i love it so much. Here I used Veg chalna and it tasted so good with onion raita. Very simple & easy to make recipe. Give it a try definitely you will love it. I will share kothu parotta with chicken chalna in my future post. Thaw the frozen parotta, heat a tawa/griddle toast it on both sides and allow to cool for a minute. Add onions, curry leaves and green chillies sprinkle little salt and saute well. Now add chopped tomatoes and saute well and add dry powders and stir fry for a minute. And then add the parotta pieces and mix well. Move this to the side of the pan, crack and pour the eggs. Scramble gently and let it cook for a minute. Now add a ladle full of Chicken Curry or Vegetable Chalna and stir fry in medium high heat for 2 minutes. Laslty add pepper powder and coriander leaves, give it a stir. To make it healthy, instead of parottas you can use left over or fresh chapathis/Rotis. Adding chalna/chicken curry gives the real taste and flavor to the dish. But you can very well skip it. If you want to make it as a vegan then simply skip eggs and chicken curry and stir the cut chapathi with onion, tomato n spices and serve. 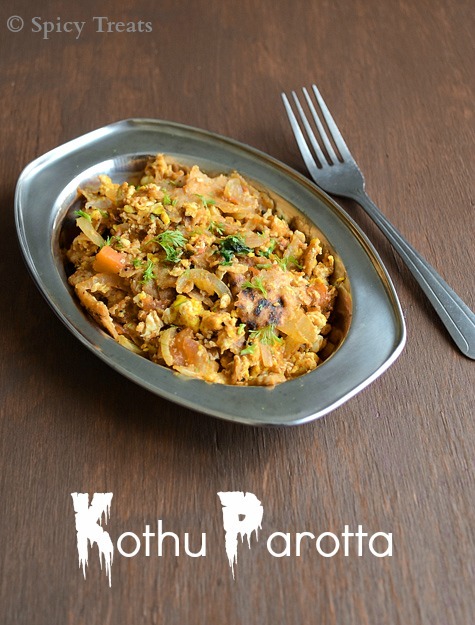 I love Kothu Parotta, especially those made in Madurai Parotta Shops. But I didnt try as it is more laborious. Let me share Egg Bhurji Biryani with you. I am not going to make as my husband does not like scrambled eggs.